2005 - The Peanuts Gang Crack the Whip! Windup Movement - Battery operated music.~~~ Batteries included. ~~~ Plays "Linus and Lucy" ~~~ 4" W~~~ Holiday Memory Card enclosed. Items Similar To "Peanuts CRACK THE WHIP! 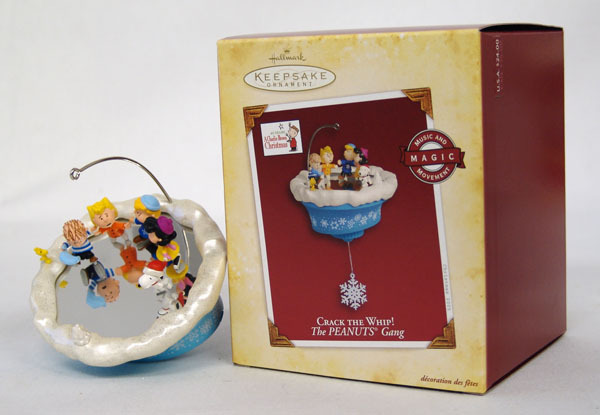 Magic Hallmark 2005 Christmas Ornament +B..."